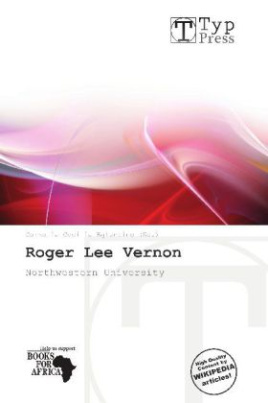 Roger Lee Vernon (1924 1980) was an American science fiction writer.He got a master's degree from Northwestern University, traveled extensively throughout North American and Europe, and while writing his stories in the early 1950s worked as a Chicago high school teacher. Northwestern University is a private research university in Evanston and Chicago, Illinois, USA. Northwestern has eleven undergraduate, graduate, and professional schools offering 124 undergraduate degrees and 145 graduate and professional degrees. Northwestern was founded in 1851 by John Evans, for whom Evanston is named, and eight other lawyers, businessmen and Methodist leaders to serve the people of a region that had once been known as the Northwest Territory.